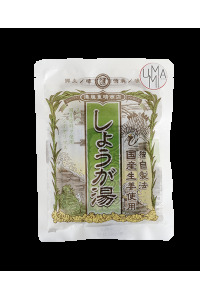 The kukicha is a blend of green tea leaves and stems. 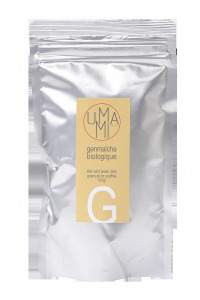 Genmaicha is sencha blended with puffed rice. 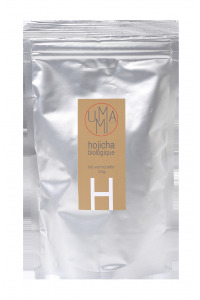 Hojicha is a roasted green tea, which contains a low amount of tannin. 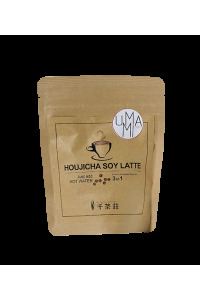 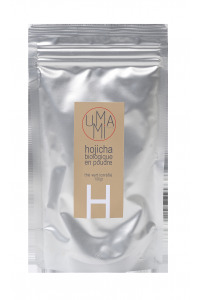 Hojicha powder is a milled roasted green tea, which can be used in pastry. 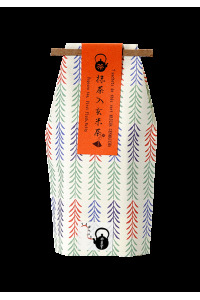 Description: This sesame tea can be drunk at any time, grilled teas are poor in caffeine and tannin. 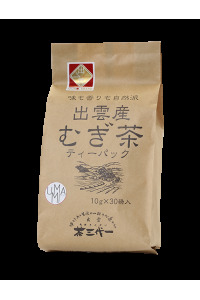 Flavor: Sweet roasted avor, taste of peanut. 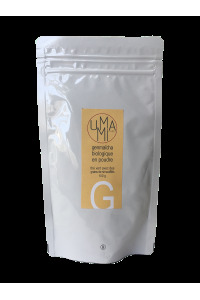 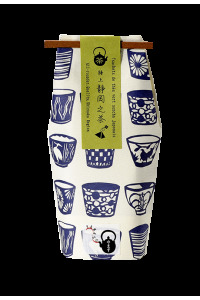 Description: Genmaicha is sencha blended with puffed rice. 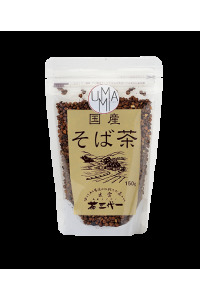 Description :In Japanese, «shogayu» means «hot ginger beverage», it is traditionally consumed as an infusion.